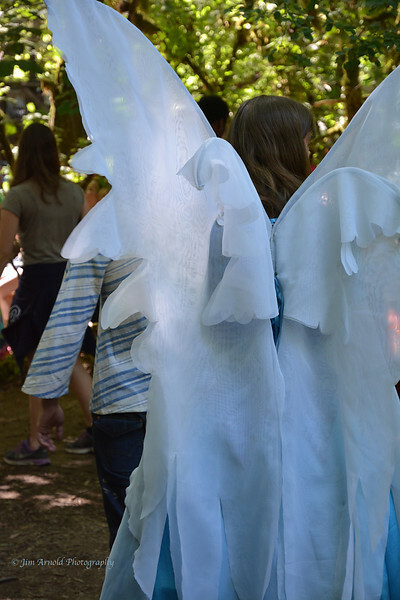 The Oregon Country Fair (OCF) is likely the defining (counter-) cultural event of Oregon's southern Willamette Valley; it is held the second weekend of July every year. The official website of the Fair states that "the OCF creates a world unlike any other in a magical wooded setting along the meandering banks of the Long Tom River near Veneta (Lane County), Oregon. The Fair creates events and experiences that nourish the spirit; explores living artfully and authentically; and transforms culture in magical, joyous and healthy ways." Go to http://oregoncountryfair.org/.